LMS is a digital marketing agency that builds and executes entertainment and influencer marketing solutions for growth stage and emerging brands. LMS builds and executes distribution solutions for growth stage and emerging brands by delivering unique, exciting boxes and kits to encourage brand awareness and engagement. Tessemae’s is a condiment company, so we decided to meet the customer where they most likely need condiments - at lunch! We incorporated the company logo and colors so everyday the customer received a subtle reminder to buy Tessemae’s. BarkThins asked us to develop a unique way to seed their delicious chocolatety snack. We took it back to our youthful roots and created a S’mores kit that came complete with all the necessary items for an elevated snacking experience. 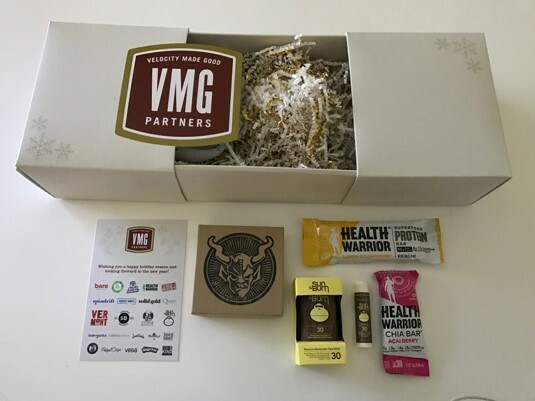 We created this custom holiday gift box with custom shipper box for VMG to use as their corporate holiday gift. It was the perfect way to highlight new product, send a seasonal greeting from all of the partners and to create one gift to give a variety of people on their list. We used their company colors and logo to create a custom cut out along with seasonal details to make it feel both personal and on brand. Ready to get your product into the right hands?